Gross Weight (GVWR) 7690 lbs. If you're looking for your dream RV at a dream price, then come to RV World MI in beautiful, vibrant Grand Rapids, Michigan! We offer nothing but the best brands of 5th wheels, travel trailers, and more from all the top manufacturers in the world! 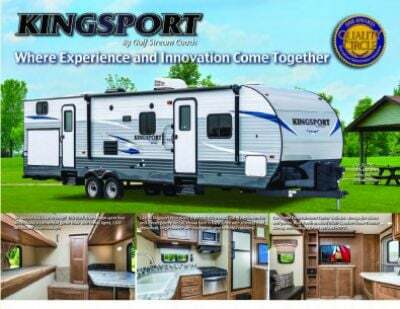 Travel the country in this 2019 Gulf Stream Kingsport 275FBG Travel Trailer! Stop in and see us today at 7834 S Division Grand Rapids Michigan 49548 and let us show you how easy it is to make your RV dream come true! And with our fast, reliable, 24/7 worldwide delivery we can assist you no matter where you live! So go online and then call us today at 616-591-3632. You could have your dream RV tomorrow! Nothing caps off a full day of fun like a good night's sleep in a real bed! 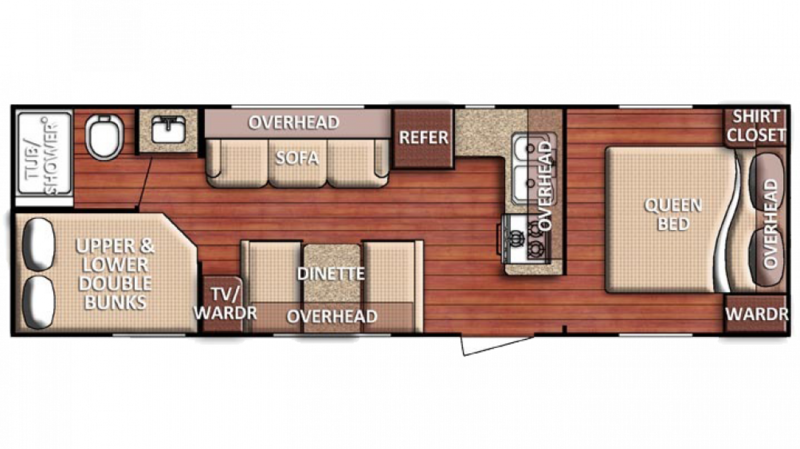 The 2019 Gulf Stream Kingsport 275FBG sleeps up to 10 people, thanks in part to the roomy master bedroom with it Queen bed. You'll drift off to dreamland, cozy and serene! The dinner options are endless with the kitchen, which features a 6.00 cu. ft. refrigerator and a 3 burner range cooktop! With the 51 gallon fresh water tank, you can enjoy clean water throughout the entirety of your trip! Hot showers are abundant, with 40 lbs. of LP tank capacity! The bathroom also features a Foot Flush toilet, and the 37 gallon gray water tank and 37 gallon black water tank store used water! No matter how long your trip is, your children will remain well-rested thanks to the bunkhouse! There's plenty of cozy Bunkbeds inside this comfy accommodation!